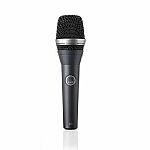 Notes: The KAM KDM580 V3 Dynamic Vocal Microphone produces a clean sound performance thanks to a wide frequency response with an integrated wind and pop noise filter. 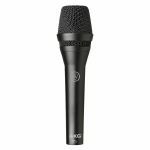 The KDM850 vocal microphone features a high signal output for incredible vocal clarity, whilst a cardioid pickup pattern greatly reduces interfering noise such as feedback and off-axis sound. An on and off switch delivers complete on stage control and the microphone is constructed with robust zinc alloy for protection. 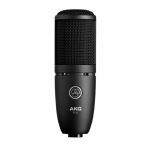 Included with the dynamic microphone is an XLR to XLR microphone cable and an impact-resistant carry case. 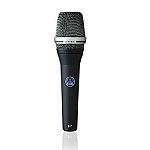 Notes: Samson's Q4 Dynamic Microphone brings a high level of accuracy and audio performance to a variety of live and studio applications such as miking vocals, presentations, instruments and more. Designed for accuracy, as well as durability, the Q4 is a solid performer no matter the environment.